Didn’t start the new year quite as healthily as intended? Don't worry. It’s never too late to adopt healthy habits, and a great way to kickstart your goal-setting is by experiencing a juice cleanse or elimination diet. The idea behind cleansing is that the body is receiving plenty of nutrients through fresh fruits and vegetables (or just their juices), while organs such as your liver, kidney and gall bladder are given a break from filtering proteins, fat and additives. Hence, your body has the energy to heal itself by balancing alkaline levels, regulating metabolism and flushing out toxins. Austin is home to plenty of local juice cleanses — and unique detox programs — so cleaning up your act is almost unavoidable. 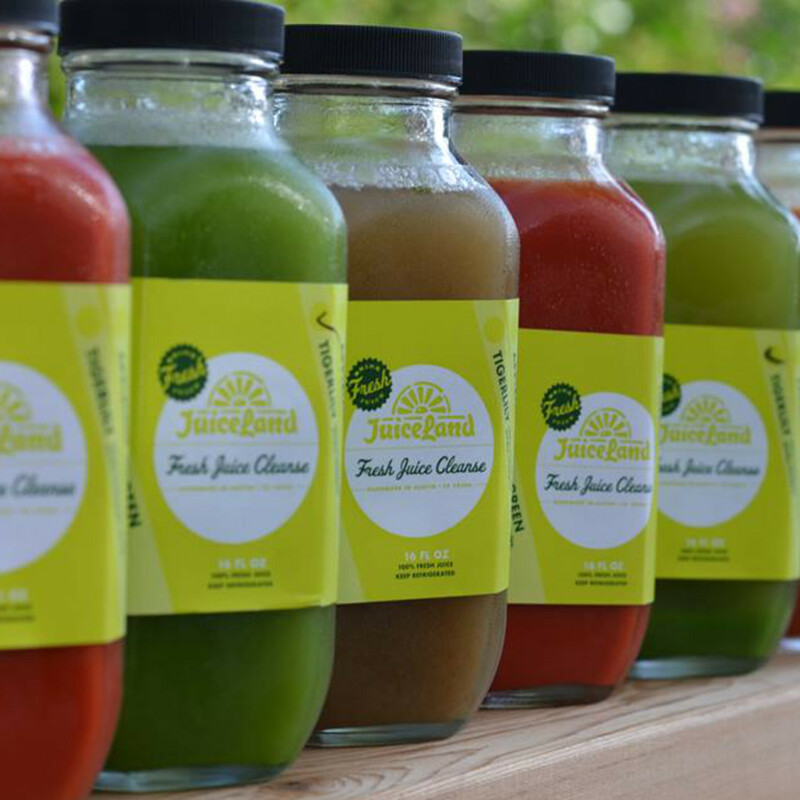 JuiceLand offers three levels of cleanse programs that include six 16-ounce bottles of fresh juices (at $53.95/day). All the juices are squeezed in a cold-press machine, which extracts every bit of juice from the fruits and vegetables without sacrificing any of the nutrients. Juices range from a standard cold-pressed red blend to a the Ninja Bachelor Party that you’ll look forward to drinking all day long (pineapple, jalapeno, celery, kale, spinach, parsley salt). Level 1, with about 1350 calories per day, is best for beginners and those with a very active lifestyle. Level 2, at 1100 calories per day, promotes optimal liver function and reduces inflammation. Level 3, measuring in at only 800 calories per day, consists of all green juices and is recommended for more seasoned juicers. Juiceland’s cleanse specialist Leilani Galvan recommends starting with Level 1. “With anything involving your health, it’s better to go slow, take it easy, and really wrap your mind and body around what you’re doing,” she says. When Shauna Martin was diagnosed with breast cancer at just 33, she decided to take matters into her own hands by adopting a super healthy lifestyle, which included drinking fresh green juice everyday. After her recovery, she knew she needed to share the wonders of juice with the world, and so she started Austin-based Daily Greens. Daily Greens comes in six delicious flavors at an average cost of about $8 per bottle. Favorites include Elevate (pear, spinach, watercress, cucumber, lime, Madagascar vanilla), which is light and refreshing with a hint of sweetness; Vitality (kale, cucumber, pineapple, jalapeno, cilantro, celery, lime), a well-balanced spicy-sweet; and Enlighten (hemp seeds, blue green algae, Madagascar vanilla, coconut nectar) which is delightfully creamy and comforting. Martin guarantees six pounds of raw produce in every bottle — eight servings of vegetables and one serving of fruit. To incorporate the juices into a cleanse, she recommends choosing 12 bottles of Daily Greens and consuming one for breakfast, lunch and a snack each day (and as much fruit as necessary to maintain energy to go about your daily schedule). At night, prepare and enjoy a large raw vegetable meal, which will give your body sufficient fiber to expel toxins. Repeat for three days. Daily Greens juices can be picked up at a number of locations across town. Cary and Joanie Frieden fell in love with juicing at home and decided to invest in some equipment so they could make it a regular part of their lives. One Norwalk cold press juicer, Vitamix blender, extra refrigerator and 40 reusable pint bottles later, friends and family were calling them up to order customized juice cleanses. And so, Skinny Limits was born. Skinny Limits offers four different types of juice cleanses: standard, tropical, earth and variety. $49 a day gets you six 16-ounce bottles of blended juice that may be picked up at any of the three Austin locations (they ship nationwide as well). Green juice blends such as the Balance (kale, cucumber, spinach, apple, parlsey, celery, lemon, ginger) and the Green Firefly (apple, cucumber, celery, kale, spinach, lemon, parsley, pineapple) had great flavor profiles. And, while the Scorpion Lemonade (lemons, agave nectar, cayenne, water) was a bit harsh, the creamy Crescent Moon more than made up for it with its flavorful blend (cashews, filter water, Himalayan sea salt, coconut oil, agave nectar, cinnamon vanilla bean). Austinite Jennifer Pierce is a certified holistic health coach from the Institute for Integrative Nutrition. As part of her nutritional health coaching, she decided to launch a group cleanse program so that people could share in their successes and struggles together. Her Winter Wellness Detox is 11 days total. During four pre-detox days, clients cut down on sugar, gluten and caffeine. The next seven days come with recipe guides and meal plans that allow participants to eat both raw and cooked foods, as well as the occasional dessert. The program costs $125 for a single participant or $175 if you join with a friend. One of the advantages of her program, says Pierce, is that it’s self-driven. “Once you have the content and the backbone of this detox, you can do it again at any time for yourself,” she says. Her next group detox program begins in March. And with Pierce's delicious recipes (like a lemon kale salad with apple, avocado and cranberry), cleansing doesn't seem so daunting after all. Miko also suggests making homemade hemp milk by blending half a cup of hemp seeds with three to four cups of distilled water (based on desired thickness). Then add honey, agave nectar or raw cacao to taste, or blend the hemp milk into smoothies or juices. 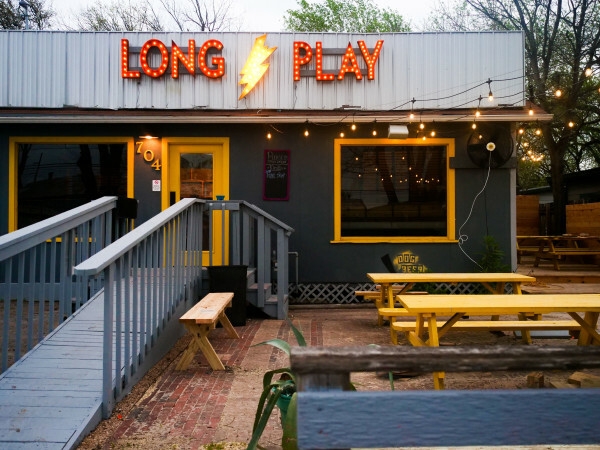 Happy Hemp's products can be purchased online or at a variety of stores (Quickie Pickie, Salt & Time, Royal Blue Grocery to name a few) in Austin. The LoveLife program is a 21-day program created by Austin's Kim Love, who had her own lifelong struggles with health and wellness until she was drawn to the healing power of natural foods. The first ten days begin with an elimination diet that replaces inflammatory foods with whole, unprocessed options. A LoveLife kit provides healthy snacks, meal plans and a recipe guide, while the LoveLife app helps clients track how they are feeling in areas like sleep, pain, energy and digestion. In the second program's second phase, clients slowly reintroduce foods and track the results to determine which foods to keep, and which to eliminate. Clients who have used the LoveLife method have reported higher energy levels, sustained weight loss, improved digestion and decreased pain. The 21-day program (which includes tracking app, individual account page, resource center, LoveLife kit, and coach support) can be ordered online for $395. 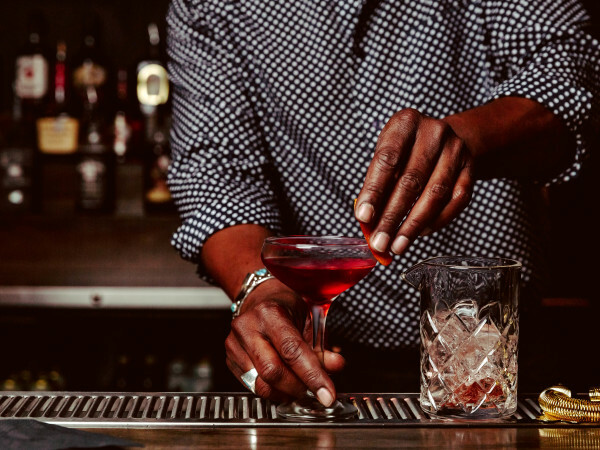 To round out the list, we include BluePrint, which, although it doesn't have local ties, can be ordered online and delivered to your door. Zoe Sakoutis was turned onto juicing while living a high-octane lifestyle in New York: by day, she was writing pitches for televisions shows, while at night she worked at the rollicking Hudson Hotel. She began to use period juice cleanses to reset her body and counteract the effects of overindulgence. 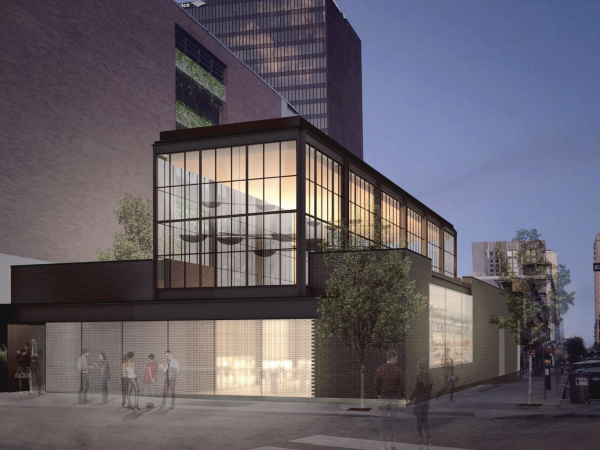 Sakoutis decided cleansing needed to come down from its lofty new age pedestal and be more accessible for those of who want to enjoy restaurants and nightlife while maintaining a healthy lifestyle. So she teamed up with her friend Erica Huss, a New York-based yoga teacher and culinary professional. Together, they created BluePrint juices. Choose from the Renovation Cleanse, recommended for beginners, the middle-of-the-road Foundation Cleanse, or the mostly green Excavator option for the deepest cleanse. Cleanses are $62.50 per day if you ordered three or more in a week, or $65.00 a day for one or two days a week. 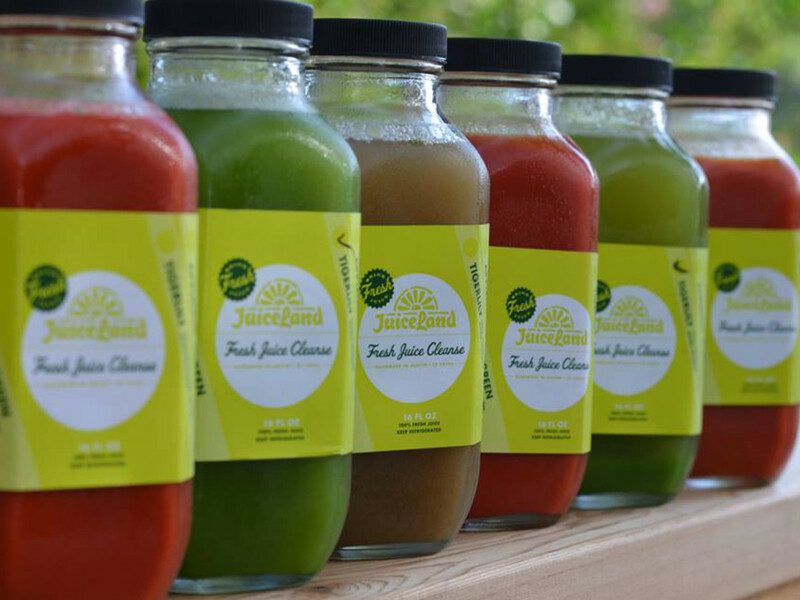 Each day comes with six 16-ounce bottles of juice, numbered for your convenience. Each day starts with a green juice blend, then rotates through a deliciously refreshing spicy lemonade, a pineapple agave mint (which comes with the Renovation cleanse, in addition to a red blend) and more green juice. The day wraps up with creamy, horchata-like cashew milk.